An upset Doncaster mum has launched an appeal to find a phone packed with family holiday photos. Mexborough mum Janine Levers lost her mobile on a night out in Doncaster – and is hoping a kind-hearted citizen will hand back the phone which is full of pictures of a recent family holiday to Lapland. Janine Levers (left) has appealed for the return of her phone which contains family photos of a trip to Lapland with her daughters Megan and Rachel. 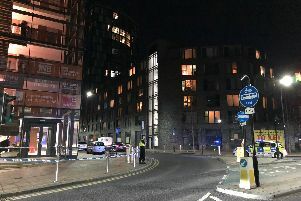 Mrs Levers believes the phone – a blue Huawei PSmart – was lost at either the Flares pub on Hallgate or the Alpha minicabs offices on Princes Street on Saturday night. She added: “Alpha say they haven't got it and Flares aren't answering my phone calls or emails. Anyone with information can contact us at darren.burke@jpimedia.co.uk and we will pass details on.